When it comes to deciding where to buy a used vehicle, you have lots of options — from a private seller to an independent dealer and more. But when you buy a Certified Pre-Owned vehicle from Chevrolet, confidence comes standard. That’s because we offer one of the most comprehensive used-vehicle benefits packages in the industry. 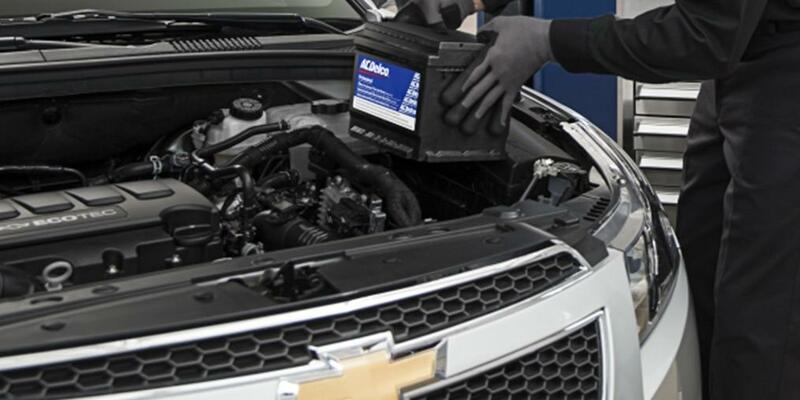 Each Chevrolet CPO vehicle is thoroughly inspected and reconditioned before you buy it. And when you pull off the lot, you’ll enjoy greater peace of mind with two factory-backed limited warranties and roadside assistance for a period of 6 years or 100,000 miles, whichever comes first (from original in-service date).† Those benefits add up to a value you can depend on, and a used vehicle you can trust. The title “Certified” is bestowed after a vehicle meets our strict standards, and it bestows on owners a comprehensive range of benefits worth more than $2,800 †. That’s value that separates Chevrolet CPO vehicles from ordinary used vehicles. Before a Certified Pre-Owned vehicle is listed or sold, GM requires dealers to complete all safety recalls. However, because even the best processes can break down, we encourage you to check the recall status of any vehicle at recalls.gm.com and www.SaferCar.gov. Chevrolet CPO vehicles come with two factory-backed limited warranties that combine for confident coverage. Rest easier with a 6-Year/100,000-Mile† Powertrain Limited Warranty, and a 12-Month/12,000-Mile† Bumper-to-Bumper Limited Warranty, both with $0 deductible. 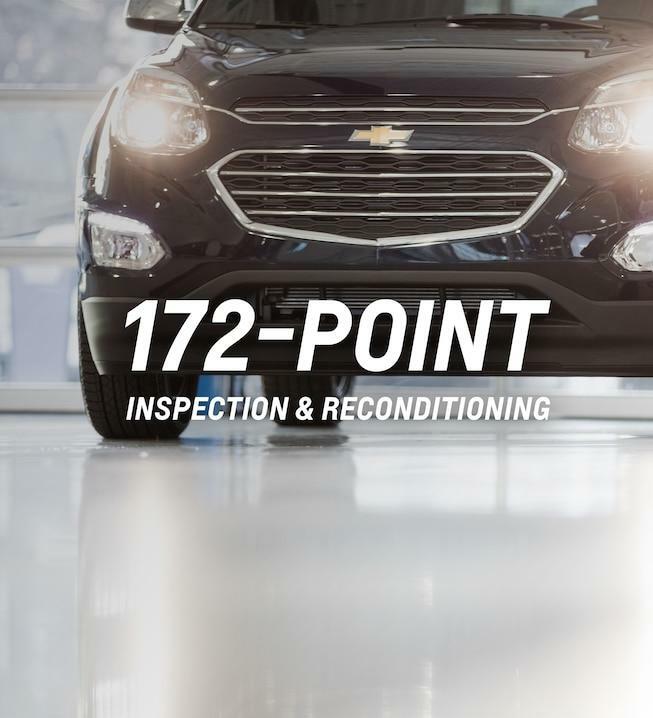 Every Certified Pre-Owned Chevrolet vehicle includes the CPO Scheduled Maintenance Program† with two included maintenance visits. If you’re not satisfied with your CPO purchase, simply bring it back to your dealer within the first 3 days or 150 miles† (whichever comes first) to exchange it for a Chevrolet, Buick, or GMC that fits your needs. We’re proud of—and have confidence in—every vehicle we sell. That’s why Chevrolet Certified Pre-Owned vehicles listed on gmcertified.com come with a free CARFAX Vehicle History Report, so you’re made aware of the vehicle’s maintenance history as well as any past problems such as major accidents, fires, or title issues. All of our satellite radio-equipped Chevrolet Certified Pre-Owned vehicles come with a 3-month trial subscription† of the SiriusXM All Access package. Hear every channel available in your ride, including all of our premium programming. Plus, listening via app and online is included, so you’ll hear the best SiriusXM has to offer, wherever life takes you. To learn more about SiriusXM in Certified Pre-Owned vehicles, visit siriusxm.com. † During your powertrain limited warranty period, 6 years or 100,000 miles from new vehicle delivery, from original in-service date. Roadside assistance provided by Allstate. See dealer for details. † $2,800 represents the national average value you get with a Certified Pre-Owned Vehicle from Chevrolet, Buick, and GMC as compared with a non-certified vehicle. † Maintenance visits must occur within 2 years or 24,000 miles of vehicle delivery, whichever comes first. Does not include air filters. See participating dealer for other restrictions and complete details. † Whichever comes first, from original in-service date. See participating dealer for limited warranty details. † Whichever comes first, in addition to any remaining original factory Bumper-to-Bumper warranty. See participating dealer for limited warranty details. † Whichever comes first. Vehicle exchange only. See dealer for details. † Three month trial of OnStar Guidance Plan (excludes Hands-Free Calling minutes) available on eligible, inactive, OnStar factory-equipped 2006 model year or newer vehicles. Basic Plan is available for 3 years on eligible, inactive, OnStar-factory-equipped 2011 model year or newer vehicles that reactivate service. Excludes 2011 model year Cadillac STS, Chevrolet Aveo, and select Buick Regal models. Basic Plan includes Advanced Diagnostics, Dealer Maintenance Notification, and access to limited RemoteLink mobile app features. Basic Plan does not include emergency or security services, or Turn-by-Turn Navigation. Capabilities vary by model. Visit onstar.com for coverage map, details, and system limitations. † Does not include emergency or security services. Visit onstar.com for coverage map, details, and system limitations. † Your SiriusXM service will automatically stop at the end of your trial unless you decide to subscribe. If you decide to continue service, the paid subscription plan you choose will automatically renew and you will be charged the rate in effect at that time and according to your chosen payment method. Fees and taxes apply. You may cancel at any time by calling 1-866-635-2349. See Customer Agreement for complete terms at www.siriusxm.com. All fees and programming subject to change. Satellite and streaming lineups vary slightly.